Apologies for the long time gap since my earlier post, but I wanted to provide you with the very latest version of the Simulator described below, which substantially improves upon the original version. 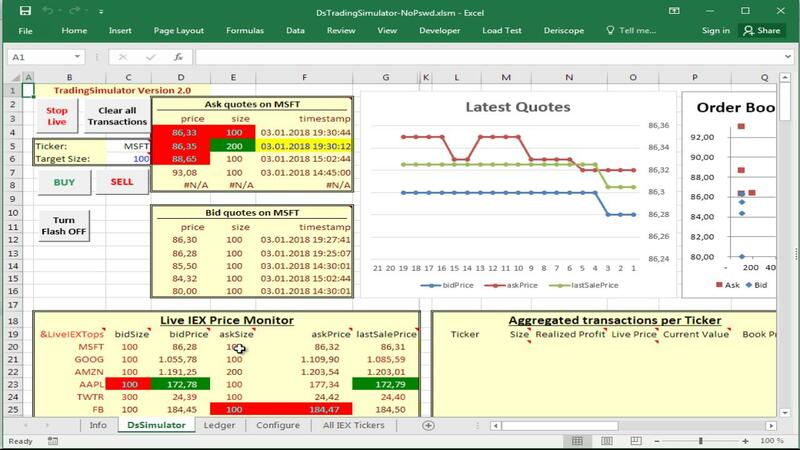 It is a spreadsheet called DsTradingSimulator.xlsm that you can download for free from https://www.deriscope.com/freedownload.php. The only prerequisite is that you have previously installed the free Deriscope Excel Add-In – downloaded from the same site as above - that equips your Excel session with a wizard that allows you to fetch live data from various providers and also perform various financial calculations.